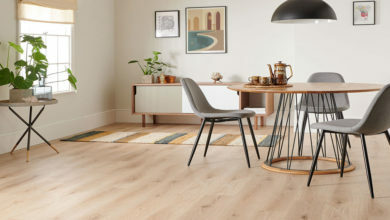 Leading cork flooring manufacturer Granorte is responding to the rising trend for using alternative flooring materials in the home by continuing to design and create stunning cork surfaces that capture the imagination and inspire beautiful and eco-friendly interiors. With a variety of design-focused collections tailored to offer retailers unusual and eye-catching flooring styles, Granorte is becoming the go-to brand for shoppers looking to create style statements with their flooring. Ranges such as Studio with its array of 22 cutting-edge decors achieved using advanced printing techniques provide endless choice. 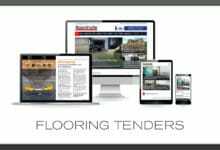 “Homeowners are increasingly demanding more from their flooring and are no longer satisfied with the traditional carpets, laminates and woods that are widely available in the market,” comments Paulo Rocha, product manager, Granorte. “Cork products offer something different, and styles such as Fineline Grey within the Studio collection have a design-led appeal about them that sparks excitement and curiosity, and really strike a chord with consumers looking to create personalised decorating schemes that reflect their individual sense of style. The Granorte cork flooring collection consists of 11 stunning ranges of cork and cork combination floors that push boundaries, including the Vinylcork collection of luxury vinyl cork tiles and the Heritage range of wood-topped floors. Headlam prices to rise – will others in the market follow?